The July issue of Tabletalk features articles examining the fifteenth century in church history. 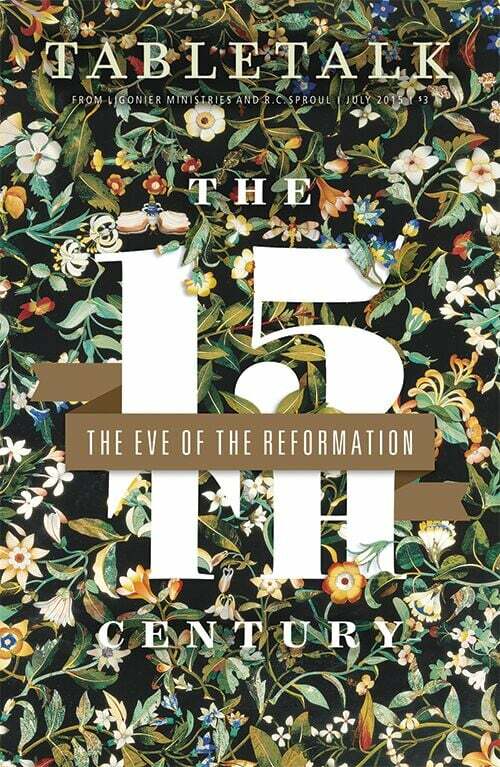 From the Hussite movement, which was a precursor to the greater Protestant Reformation, to the fall of Constantinople, which saw the proliferation of Greek texts among readers in the West, the fifteenth century was in many ways “the light before the dawn.” This issue of Tabletalk will help Christians better understand where we are today by looking at where we have been in the past. Contributors include R.C. Sproul along with Nicholas R. Needham, Aaron C. Denlinger, Stephen J. Nichols, Ryan Reeves, R.C. Sproul Jr., Tim Witmer, Eric Bancroft, Mark Dever, and Voddie Baucham Jr..
A Whole New World by R.C. Sproul Jr.
Answering from the Word by Voddie Baucham Jr. The August issue will explain what persecution is, how Christians have experienced persecution, what it looks like around the world, and what the future holds for believers. The September issue will consider the purpose and importance of study Bibles, providing an apologetic for their development and use. The October issue will seek to explain some of these hard sayings of Jesus and also help readers know what to do when they encounter passages such as these.